November | 2009 | Larval Subjects . Here my largest issue (which seems to come up with many commentators on nature and ecology) is that the ecology of concepts of nature is severally narrowed for the sake of argument. Zizek seems to make a reversal when discussing the films of Tarkovsky and in particular Stalker but then shifts back to focus on transcendental subjectivity. The ontological priviledge of the subject remains a serious stumbling block for any approach to nature that is not too shallow or too obfuscated. The finitude of the subject has become increasingly transcendentalized at the expense of nature, nature becomes merely an elaborate background. Nature goes right through the subject. Following up on Ben’s criticism, it seems to me that there is a fundamental ambiguity in how Zizek refers to “nature”. When Zizek critiques nature is he referring to nature as such or the discursive concept of nature as it functions in a particular ideological discourse? If the former, it is completely appropriate for Zizek to critique this concept of nature and how it functions ideologically. Within this discursive framework, nature is treated as a whole that is harmonious and independent of culture. That is, culture is treated as something other than nature and outside of nature. In my post I summarized some of the empirical evidence supporting the contention that much, if not most, human cognition takes place outside of conscious awareness. However, I decidedly did not propose that all of cognition is unconscious. We consciously attend to things, reason, solve problems, assemble stored memories, plan, evaluate information. And we’re self-reflexive about it: we are consciously aware that we’re reasoning, problem-solving, etc. Doesn’t this mean that we have direct access to our own minds, at least to some extent? I’d say yes. If’ I’m aware that I’m solving a problem, and if both my awareness and my problem-solving are mental processes, then my mind has direct access to some of its own activities. If we’re consciously aware of the activities and outputs of our own consciousness, then that’s not just direct self-relation but also direct self-awareness of the self-relation. Consciousness is an emergent property of brain activity; unless we believe in the soul or some form of panpsychism there is no source of consciousness other than brain activity. So consciousness has to be in direct relation with the unconscious brain activity that generates it — doesn’t it? — even if that direct relation doesn’t take the form of conscious awareness of brain function. My hand is in direct connection with itself, even if it can’t hold itself in its grip. A bridge is in direct connection with itself, even if it can’s support itself on itself. Yes and no. The claim that we do not have direct access to our minds is not the claim that our minds are not dependent on our brains, but rather that our introspective accounts of our mental activities are unreliable guides to how these mental activities function. In other words, the thesis that we can have knowledge of how our mental states function through self-reflexive conscious awareness of our internal states is here challenged. The crux here seems to be that “man” is not in himself a normal animal: normative accounts of human being are best taken as descriptions of the commitments we make to ourselves and others as preconditions for various kinds of social being, and the capacity to bear such norms is rather haphazardly instantiated in our animal selfhood. This split between the normed human being and the ab-normal human animal plays out in Badiou, for example, as a tension between the “de-subjectivising” pull of egoic self-interest and the possibility of constructing a political “subject” which affirms (or “verifies”) egalitarian norms. But there’s a problem here: egoic self-interest is arguably also a normed expression of human being – neo-liberalism explicitly affirms it as a norm, as a precondition for higher forms of social organisation (e.g. those based on competitive markets). The conflict between Badiou’s ethical “good” (tenacity in the construction of truths) and “evil” (de-subjectivation, the saggy victory of the flesh) can be seen as a conflict between rival normative commitments rather than between committed and uncommitted being as such. What Rowan Williams calls the “false anthropology” of neo-liberalism does not merely declare, in social Darwinist fashion, that human beings are intrinsically self-seeking creatures: it also goes to considerable lengths to modify the “soul” of society (its basic normative commitments and symbolic co-ordinates) so that individuals will perceive this to be their true nature and act accordingly. There’s a good deal more in Dominic’s post, especially with respect to heteronormativity and discussions of heterosexuality coming out of the Christian Right, but I wanted to draw attention to this passage in particular as I think it represents something that is truncated or underdetermined within the framework of critiques of neo-liberal capitalism. While I do not disagree with Rowan William’s thesis that the picture of the human as an intrinsically self-seeking creature constitutes a false anthropology, I have noticed that there is a tendency to treat the core of neo-liberal capitalist ideology as consisting almost entirely of this false anthropology. Christopher Vitale has a couple of excellent posts up over at orbis mediologicus and Networkologies. Orbis mediologicus is the blog for the exciting new media studies program (soon to be offering a master’s degree) at the Pratt Institute in Brooklyn. Networkologies is Christopher Vitale’s personal blog. In “What is Mediology?” over at orbis mediologicus, an account of mediology is outlined that could very easily be the preface of The Democracy of Objects or a précis of key onticological claims and aims. “What is Mediology?” especially, outlines a good deal of just why object-oriented ontology and onticology are developing a critique of correlationism and contemporary Continental philosophy in the way that it is, and why these ontological shifts are important. Moreover, it sheds light on just what onticology is doing at the level of theoretical practice and engagement over and above the abstract meta-theoretical level of pure ontology. “Networkologies– A Mini-Manifesto” discusses the nature of networks, their dynamics, and interactions among objects in a way that nicely meshes with my own account of translation and networks. Both are excellent reads, so check them out. I’m a bit groggy this morning. 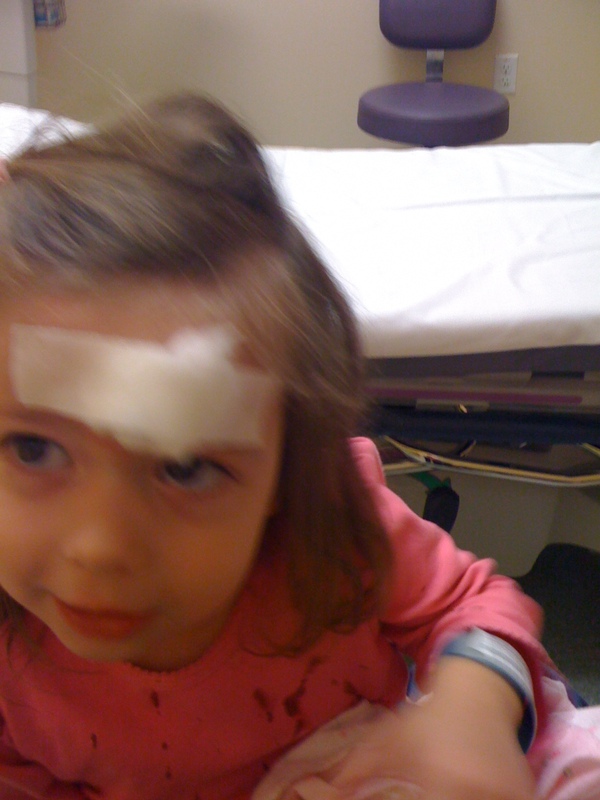 Last night my three year old daughter smacked her forehead against the coffee table and we had to take a trip to the emergency room. Seven stitches and five hours later we finally got home around one thirty in the morning and then didn’t get asleep until four or four thirty. I’m amazed at how well she handled everything. She was a real trooper. After the initial shock of all the blood– and boy do heads ever bleed! –she was rather nonchalant about the whole thing, making offhand remarks like “I bumped my head a little! I hit my head on table. Blood was everywhere! Sometimes that happens!” in an amused voice and, while calmly playing before leaving for the ER, “I don’t need to see a doctor and we don’t have any bandaids”. We danced in the hospital room and she charmed all the nurses and doctors. After everything was over she actually didn’t want to leave as she was having so much fun. That’s my girl! What a ham and little attention addict. At any rate, hopefully I’ll make some sense in this post. What is translation? And why do some things get translated and others do not? Translation is more than a simple replication. Translation always involves a certain degree of interpretation in which what is inputted is always changed or transformed – from photons of light to complex sugars. Objects translate each other, they change each other without encountering each other directly, which means that objects first and foremost recognize each other. I am pretty uncomfortable with Nate’s talk of objects “knowing” each other and “recognizing” each other as I think this implies a degree of intentionality (in the phenomenological sense) that only belongs to a subset of objects (humans, many animals, certain computer systems perhaps, social systems), not all objects. In my view, it’s necessary to distinguish between reflexive objects capable of registering their own states and relations to other entities like social systems or cognitive systems, and non-reflexive objects that do not have this characteristic. In other words, where non-reflexive objects are in question it’s important to emphasize that intentionality is not required for translation to take place and be operative in relations between objects. One common criticism of Deleuze and DeLanda is that their ontolog(ies) suffer from what might be called “virtualism”. It’s important that some might not consider this a failing and that there is, I believe, a way of interpreting these thinkers so that this problem largely disappears. Roughly, virtualism would consist in treating the virtual as the domain of the “really real” and reducing the actual to mere “epiphenomena” that have but an epiphenomenal “being”. In the language of Roy Bhaskar’s ontology, the virtual can roughly be equated with the domain of “generative mechanisms”, while the actual would consist of events take place as a result of these generative mechanisms. Virtualism would thus treat these generative mechanisms as what are properly real, while the actual events engendered by these generative mechanisms would have a subordinate and lesser status. The problem with this sort of virtualism is that it fails to observe a particular property of groups known as “closure” as described by mathematical group theory. Roughly, closure is the property of a group such that for a group G, all operations carried out on elements of G— say a, b –are also in G. Thus, for example, if group B consists of the numbers 1 and 2, the conjunction of 1 and 2– 3 –is also a member of the group. This point can be illustrated for material systems with respect to fire. A flame requires all sorts of generative mechanisms involving chemical and atomic reactions that are conditions of fire at the level of the “virtual” with respect to the flame as an actuality or event. However, it does not follow from this that the flame is itself an epiphenomenon or lacking in reality. The flame has all sorts of powers, capacities, are “able-to’s” that cannot be found at the level of the generative mechanisms themselves. Put otherwise, a flame is itself a generative mechanism with respect to other relations. 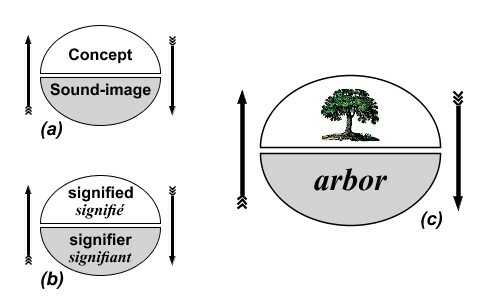 I am still experimenting with the diagram below, but as I was teaching the concept of translation in Harman’s Prince of Networks today, I found it to be a useful heuristic device for thematizing just what is new or interesting in Latour’s concept of translation. Scroll past the Scribd diagram for a bit of commentary. Clearly I have adapted this diagram from Hjelmsleves model of the sign. All of us are familiar with the relation between the signifier and the signified in Saussurean linguistics (to the left). In naive theories of linguistic translation (NTTs), the idea is that the concept remains the same (content), while it is only the signifier (expression) that changes. There are any number of reasons that this concept of translation is mistaken. I outlined some of these shortcomings in a previous post, so I won’t repeat them here. Latour’s concept of translation is broader than that of translation as it applies to linguistics or the transposition of texts from one language to another. The key point to take home from his analysis– and he doesn’t spell these implications out himself –is not so much the fact that a translated text always differs from the text that it translates, but rather that the process of translation produces something new, regardless of whether the relation is between texts in different languages, conscious minds to world, or relations between objects. What Latour wishes to do, I think, is generalize the concept of translation, such that translation is no longer restricted to the domain of language, nor requiring the involvement of living beings of some sort, but rather involves any relations among actants, human or nonhuman, living or material. Hjelmslev’s key innovation in the domain of linguistics and semiotics was to recognize that both the plane of expression (loosely the signifier) and the plane of content (loosely the signified) have a form and substance that can enter into different relations with one another. Here I am partially basing my analysis of Deleuze and Guattari’s treatment of Hjelmslev’s model of expression and content as developed in “The Geology of Morals” in A Thousand Plateaus. This discussion would require a far more developed analysis than I’m capable of giving at the moment. For those who are interested, it would be worthwhile to refer to DeLanda’s early work on this essay (here and a number of Delanda’s articles, podcasts, and talks can be found here), as well as the first chapter of A User’s Guide to Capitalism and Schizophrenia by Brian Massumi. While I don’t entirely share the ontological commitments of either of these thinkers, their works nonetheless provide some pointers in the direction I’m thinking.